Overlooking the Dorena Reservoir, this easy paved 16.5 mile (26.6 km) trail is lovely cycling. It replaces the original tracks of the Oregon Pacific and Eastern Railway, which ran from Cottage Grove to Culp Creek. Several covered bridges and the train bridge in the movie Stand By Me are in the vicinity. Watch for osprey, heron, ducks and bald eagles in the grassy marshes. In the spring look for blue Camas flowers. 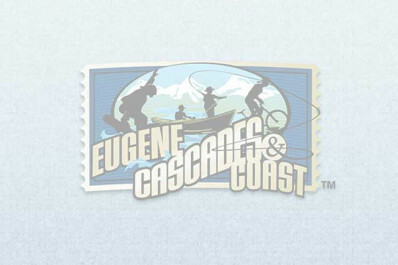 Start at the convenient trail-head right in Cottage Grove, or park and bike from the scenic Mosby Creek Bridge. Only 20 minutes (by car) south of Eugene. "Row" rhymes with "cow."